o Peace for the Wicked (2005) is set in 1956. 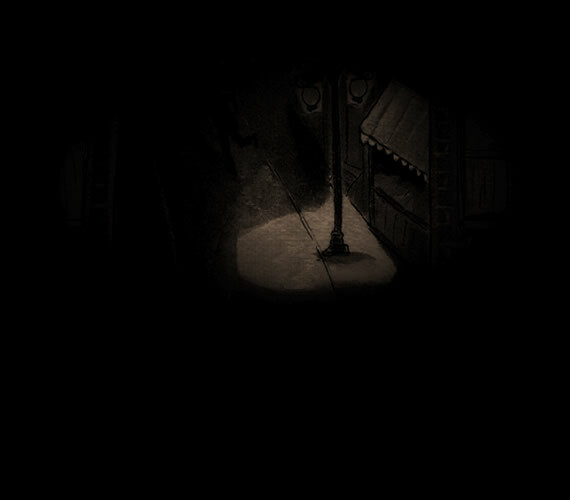 Its narrator is Lizzie Robbins, who is working for theatrical costumiers Freddy the Frock and Antony while living on her own in a flat sandwiched between Bandy’s Place, the basement boozing club run by Bandy Bunyan and Sugar Plum Flaherty, and the odd couple’s own home in the floors above. Still locked in grief at the beginning, she flowers in the course of the book, influenced by the arrival of Bandy’s half-Chinese niece, Peace, and by her growing feelings for T.C., who has lost both his job and his wife since The Widow Ginger. Lizzie reveals previously hidden talents as circumstances draw her into a world of wealth and power she barely knew existed, and finds herself vying with the increasingly drunken but still glamorous Cassie for T.C.’s attentions. No Peace for the Wicked also introduces malodorous Malcolm, the poet; Bandy’s spectacularly rude sister, Faith; Mrs Wong’s only son, Lucky; Bert Bristowe, the all-in wrestler turned cleaner; Bert’s incongruously-named battleship of a wife, Pansy: and the unforgettable Brilliant Chang, a powerful woman in a man’s world. 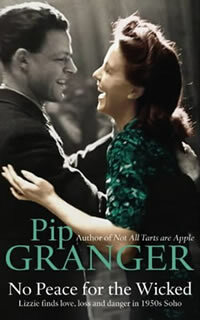 Further books in the series are planned, but Pip has taken time out to write two non-fiction books: Alone, a memoir of her childhood, and Up West, a celebration of the lives of ‘ordinary people’ living in an extraordinary milieu, the West end of London in the two decades after the end of World War II.